Get your chicken sandwich with a side of rainbows. 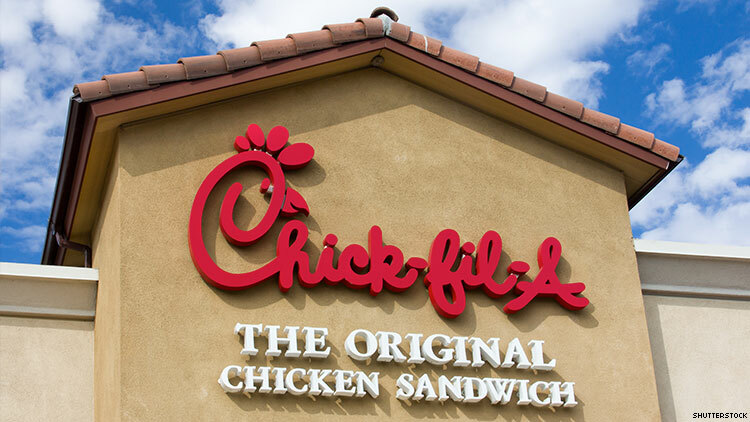 While some airports, like the one in San Antonio, are blocking Chick-fil-A franchises on the premises due to their anti-LGBTQ history, the city of San Jose came up with a creative compromise. As a Chick-fil-A is already scheduled to be put in at the Minute San Jose International Airport, the city council voted to surround the fast food joint with rainbow and transgender pride flags. The restaurant was included in a package deal put together by HMSHost, a company that brings eateries to airports, and the San Jose city council reportedly did not consider the controversy Chick-fil-A might cause prior to its approval. “This kind of slipped under everybody’s radar,” said Councilwoman Magdalena Carrasco. The chicken joint has long been under fire for its donations to anti-LGBTQ charities and causes, despite spokespeople for the company often insisting they are not anti-LGBTQ. But now anyone who wants to support Chick-fil-A and its discriminatory history at the San Jose Airport will have to do so while surrounded by a hell of a lotta gay. Honestly, it’s the most appealing Chick-fil-A has seemed in a long time.